Today, I wanted to share what I typically eat in a day. 2 months ago, I started documenting what I eat. My body responds quickly to healthy eating. I lost 5 pounds in 2 weeks (not necessarily a good thing) but I am slowly adjusting to these changes and wanted to share what I eat in a typical day. My food choices are boring and plain for the most part. The biggest thing I changed about my diet is cutting down on refined sugar, carbs and processed food. I used to go to Starbucks 7 times a week (I now cut it down to twice a week). Whenever I order, I ask for half the amount of syrup required in a drink. My breakfast usually consists of something quick like oatmeal with whatever toppings I have that day. 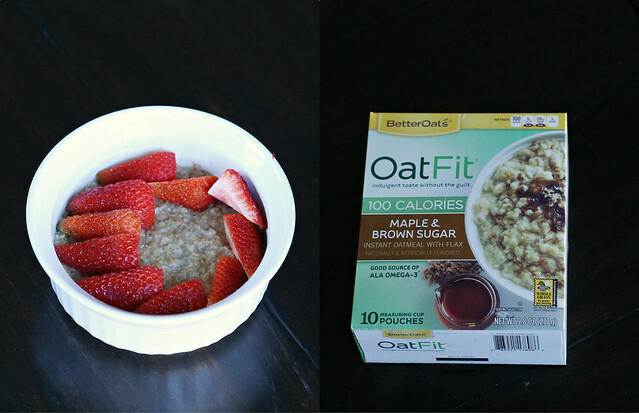 My favorite brand is Oat Fit by Better Oats. Each pouch contains 100 calories and no sugar added. I usually make it with hot water at work. On the weekend, I sometimes make it with almond milk. 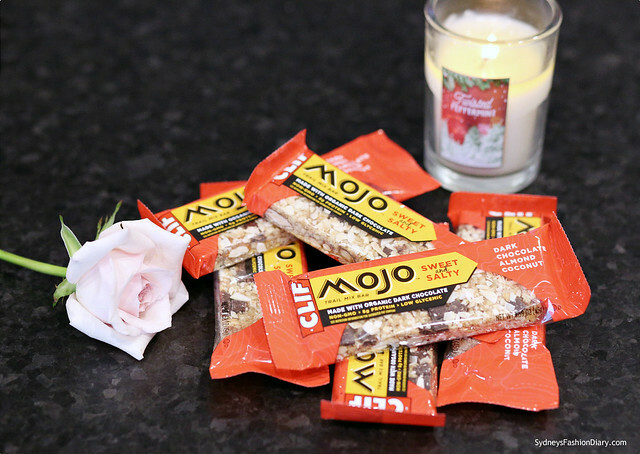 I recently discovered Clif dark chocolate and coconut bars and am hooked. They are a bit high in calories but not too bad. I usually just eat half of the bar and save the other half for later. I am definitely a dark chocolate girl. Dark chocolate + coconut = tasty combination! I do pack my lunch a couple of times a week but when I don't, Panera Bread is my go-to choice for a lunch out. Their salads are the bomb! They are in the 400-450 calorie range but very filling and tasty. My favorites are the Asian sesame chicken salad (400 calories) and the chicken Caesar salad (430 calories). I usually skip the bread. 2:30 p.m - A variety of snacks (typically under 200 calories): An apple (100 calories), one serving of Blue Diamond almonds *low sodium version* (170 calories), one serving of Terra sweet potato chips (160 calories/10 mg sodium). 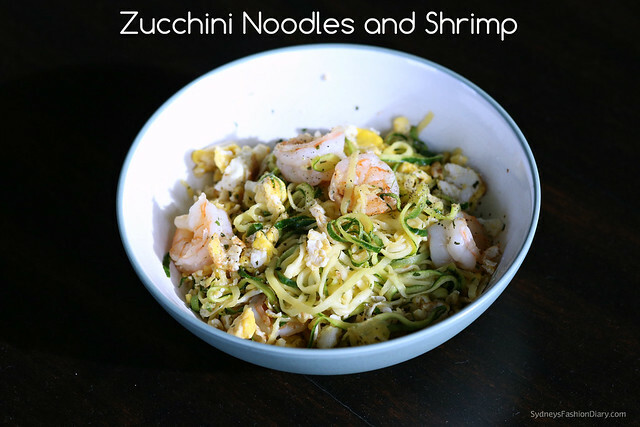 Your zucchini noodles + shrimp looks so good! Can you share the recipe please? Also, what kind of zoodler do you have and how do you like it?